You see the advertisement for the next big thing! Take this product and it will cure and you get a list of practically everything that ails you. 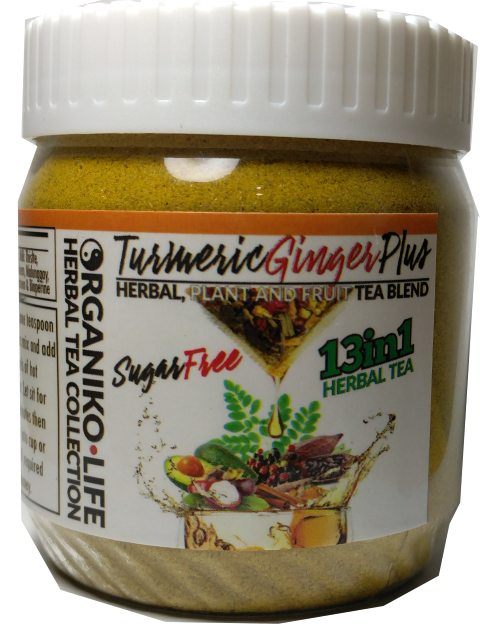 The truth is that yes, there are herbal and natural products out there that will assist with the maintenance, prevention and even in some cases cure many chronic illnesses or promote the immune system, help with brain health and more. But! No one product can do this. There are a range of them but you need to take many individually to get the dosage that works and yes some require smaller doses and can be used with other plant and herbal sources that work together on the same condition. 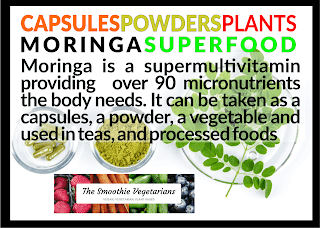 Some people like to get their supplements as bulk powders so they can take them in higher doses, incorporate into foods, smoothies or take as a shot. Pure powders are the best source for plant sourced health products. They just have the water removed and are then powdered. They are as God made them. 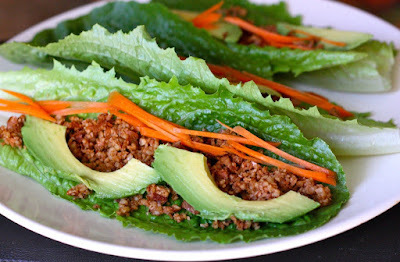 Full of fiber, nutrients and all their active ingredients. But be sure that the drying process used keeps the process of drying below 71 degrees so it doesn't destroy the plant source and then ultraviolet exposure is used to ensure that any organisms are killed (UV is an aspect of light that only harms organisms and so ensures that you don’t catch anything from a plant produced powder). Now this is the best source for a health product but when you look at herbal and plant sources those that have the medicinal and most active ingredients tend to be bitter, spicy or cause irritation. That is why some people who decide to try and incorporate herbal and plant source powder into their diet directly can end up with mouth and throat irritations, and other complications because of the irritant nature of the powders. The the best way for taking these powder is via encapsulation. Capsules are considered the best way to take a health product. Above the explanation for why powders are best, but due to their nature can cause irritation. Also later in this article we cover teas and coffee and yes you can take a herbal tea but you reduce the effectiveness of taking the whole herbs and just getting the water-soluble bits. Capsules are an ideal herbal and plant delivery system. Having the pure powder inside a capsule protects the body from the irritant nature of these powders. You don’t suffer the taste, and your mouth, throat, esophagus, lungs and nose are protected from the powders and they are delivered directly to the stomach, where your digestive juices can absorb all the goodness of the powder without the irritant and taste issues. You also get the whole herb/plant in an easy to take form that is bioavailable as it still retains its botanical nature. Note always take herbal supplements with food as it increases the absorption rate with the mix of fats in the food as well as water increasing the absorption of the fat and water soluble active ingredients. Tablets are another way that herbal/plant products can be delivered. But these generally have extracts, fillers, additive, even organic ones, your source is not pure, its processed and has content apart from the original plant source. This is due to the fact that plant powder cannot be made into a tablet, extra ingredient like binders and stabilizers are necessary to form a tablet. 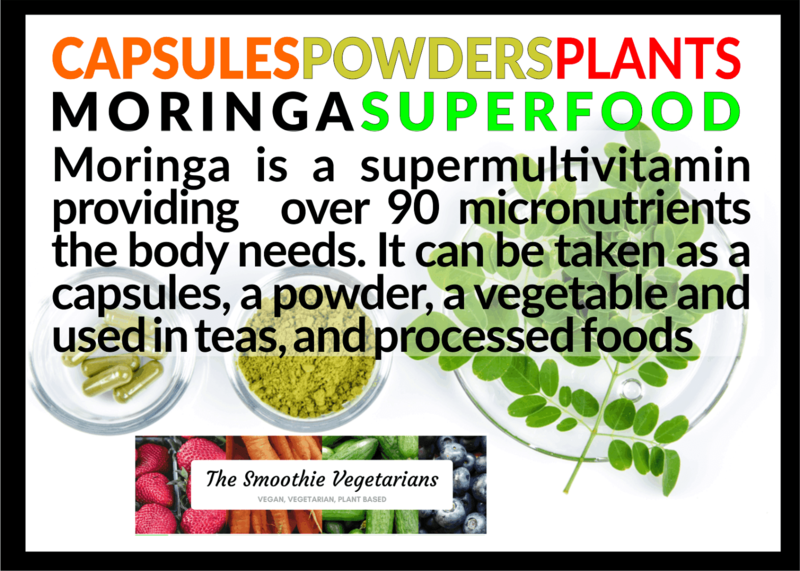 For instance, many manufacturers sell spirulina tables and as part of the manufacturing process, they add fillers as well as food coloring to increase the dark green color of the tablet. This is not an advisable method of taking a natural health product as you get less and it is more denatured and so reduces its bioavailability due to the processing. This is one area that has grown in a big way. 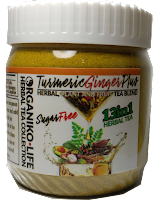 People are told to buy a herbal drink full of herbs, plants sources, extra minerals etc. Or the super smoothies packed full of fruits and medicinal plants. 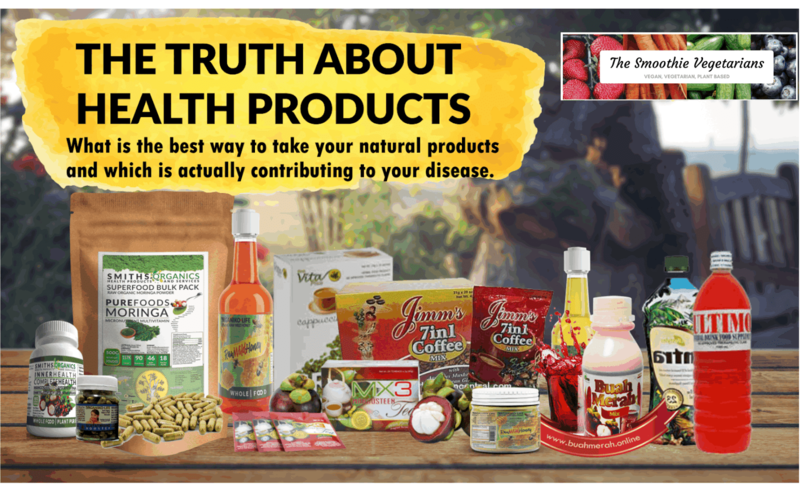 Sadly, the truth behind these products or even making your own is that regardless of the benefits promoted due to the herbs and plants, these products tend to be high in sugar. Moderation is always the best rule. When God made the apple, he packaged it with nutrient and lots of fiber, so yes its sweet but you can only eat a couple, juice it and a glass of juice has 6 apples worth of sugar and you remove fiber and nutrients by eliminating the apple solids. If its sweet, then its bad. No matter how many herbs you add, if its sweet, it promotes chronic disease and weight gain, diabetes, hypertension, Alzheimer’s, liver and kidney disease and much more. No matter what the advertisements say, or if you have a network marketer promoting a product the truth is that the juice or water-based products that are sweet do not promote health but chronic illnesses. If you forget about the sugar levels and lack of fiber look at the numbers on a product or the preservatives that let it keep for so long, what are the preservatives also doing to you? When it comes to drinks, beverages and juices best to avoid it unless you use a lot of high water low sugar vegetables when making your drinks. Better to make smoothies as these keep the plant fibers whereas juices concentrate sugar and carbohydrates. Next, we look at infused honey, apple cider vinegar and coconut oil. There are some people who have difficulty swallowing capsules and there is one class of infused herbal/plant sourced products that can be used. Wild honey, Virgin Coconut oil and Apple Cider Vinegar as standalone product do not have the processing and concentrated sugar that the processed infused drinks mentioned above. Alone they each have their own health benefits and so by adding medicinal herbal/plant sources to these products is a viable way of taking herbal powders. The flavors can be masked but also the coating from the fluids can protect from irritation. Also infused honey is a good way to give children a herbal dose as kids love sweet but it is not a big sugar hit like the herbal drinks which at times have more sugar than most sodas. There are many who promote medicinal herbal and plant products as drinks like teas, coffees and sachets. Sachets and pouches tend to be high in sugar, and like the drinks above have the same problems with the cause of chronic disease. In general herbal teas, as long as they are unsweetened, are good as a delivery system for natural medicinal plants but you only get a fraction of what is in the powder. The reason is that many of the active ingredients of herbal products are fat soluble, so when you make a tea, you get none of those active ingredients that are fat soluble. Many of the active ingredients are also within the powder/leaf itself and so you can flavor your tea, get some health benefits, but you are missing out on most of the health properties locked inside the herbal leaves/powder that you don’t consume. That is why capsules are the best way to get the whole benefit from medicinal and herbs and plants. Coffee comes in many forms, beans, powder granules and does have some health benefits, but that is in moderation. The health benefits are more for those in good health. Coffee has a range of active ingredients that can boost brain function, increase alertness and also has a diuretic quality. But take one cup of coffee and your blood pressure raises for 4 hours after you consume a cup. When you buy a coffee that has a whitener and sugar then you lose your health benefits, the whitener and sugar adds starch and calories, so on top of increasing the blood pressure from the caffeine it also raises blood sugar levels and so no matter what herbs, mushrooms or medicinal value that you add to coffee, it’s not going to outweigh the fact that your blood pressure, blood sugar, stroke, cancer and in turn any chronic illness will worsen or if you don’t have a chronic illness then drink too much of this and you are on your way poor health. In conclusion as you can see that many products say they are healthy and will deliver medicinal herbal and plant benefits, but the bottom line is that a pure plant powder in a capsule is the best way to take a medicinal plant and mixing it and adding it to processed food products actually turns the product into an unhealthy delivery system promoting chronic illness and ill health.